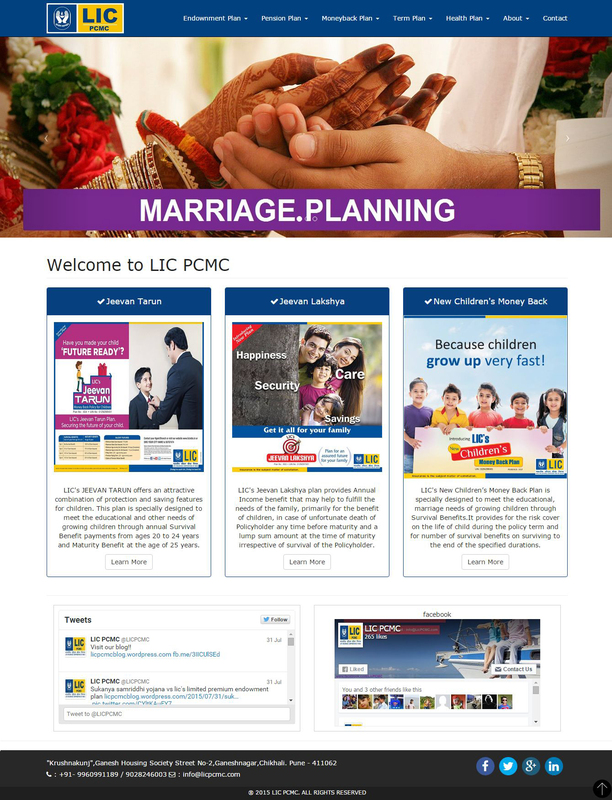 LICPCMC.COM is simple and clean responsive website. This is informative website where you will get information about all LIC policies. FAQ page will clear your doubts. There is enquiry form google map location, social media follow us links.